Can you build a deck with tongue and groove boards? The answer is yes. Creating a deck with tongue and groove lumber is as easy as creating a deck with traditional boards. First, cut all of your pieces into appropriate lengths. Next, coat any fresh cuts with an end sealer. This will ensure the end cuts don’t release moisture too fast (which reduces the changes of cracking or splitting. Once your first board is in place, the rest of the job will go smoothly as you just need the other boards to fit snug into one another. If you need help fitting the boards into one another, use a grab clamp or two to help keep the boards in place. For installation, we suggest that you pre-drill a hole on a 45-degree angle where the tongue and the face meet. You will see a slight v-groove in this corner. Then, on that same 45-degree angle, drive a trim head screw through the pre-drilled hole, through the deck board into the floor joist. The trim head screws are required because the head will sink into the corner where the v-groove is. This sinking action will allow the next deck board to slide into place and will perfectly conceal the previously installed screw head. You must have 24” or more of open air space below the deck to use tongue and groove boards. Leave at least 2 sides of the upper deck space open for cross ventilation. Tongue and groove decking should be used for covered porches and patios only. Do not allow standing water to collect under the deck. Ensure that the ground is adequately sloped under the deck to eliminate standing water under the structure. If you install skirting around the perimeter of the deck, it is imperative that the skirting does not prevent cross ventilation. When choosing your tongue and groove lumber, remember Ipe is a strong, dense material that is great for any outdoor project. Get your free Ipe decking quote directly from the mill. Contact IpeDepot.com today. Happy decking! I was asked the other day ‘What’s so great about Ipe? What can you build with it?’ My response ‘Anything you need to get built!’ Ipe is one of the best building materials on the market today. You can build decks, boardwalks, stairs, railings, benches and more. It’s a proven performer in all harsh conditions and climates. Not to mention, it is naturally beautiful and insect free. 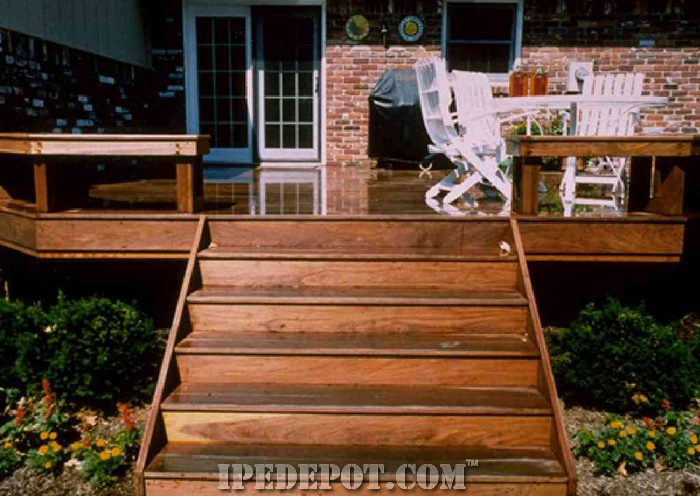 If you’re building a deck with Ipe, it makes sense to build your stairs with Ipe as well. 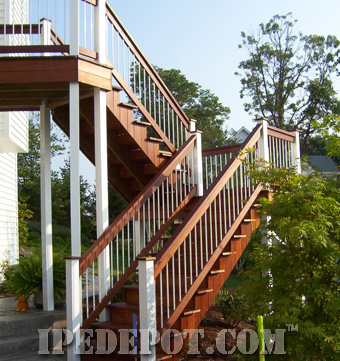 Adding Ipe stairs to any decking project turns it into a homeowners dream. Ipe is already 5x stronger than Redwood, so it will be able to withstand any weight. 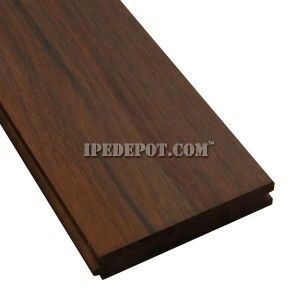 A characteristic Ipe has that many other decking materials don’t, is it’s slip resistant. You won’t have to worry about your great aunt slipping down your stairs when she comes over. If your deck doesn’t need stairs but you would like an elevated section, consider adding three stairs rather than just two. Two steps keep the main function of a deck while the third adds enough room for an overflow seating section. Everyone will be able to sit comfortably at your parties and there will be no awkward standing and eating. If you already have your deck and are beginning to clean it for the summer months, remember to inspect your stairs as well. Look for rotting and decaying around the fasteners. If there is any, DO NOT step on your stairs and call your Ipe supplier immediately. Also, if your stairs are open in the back, make sure the distance between each stair is not exceeding 4 inches. It’s possible in the other seasons for wood to shift slightly. If your wood has shifted slightly, make sure you fix it to ensure no future accidents. 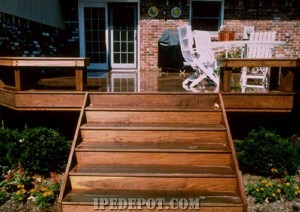 For any more questions about Ipe stairs, check out www.Ipedepot.com for a free quote today. Happy Decking! If you’re thinking about remodeling your back patio, consider Ipe deck tiles. This DIY project is quick and easy and will help you enjoy your deck for years to come. When I say easy, I mean easy. It’s literally a snap to do. No extra tools required just the deck tiles and connectors. Before you begin remodeling your deck, be sure to sweep away any debris or dirt. Then install each tile in the pattern of your choosing. The tile corner should be lying on top of the connector before you snap it in. Work from the inside to the outside of your deck, connecting and snapping the deck tiles with the connectors. You can even lay your tiles out in a variety of patterns to add a unique design to your deck. 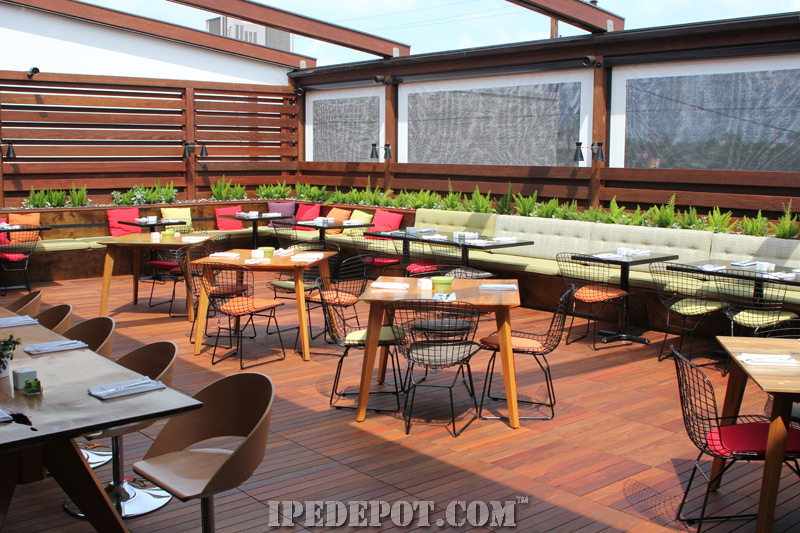 Ipe deck tiles are the best possible option when choosing deck tiles. 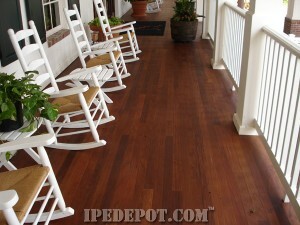 Ipe wood is one of the strongest and most sturdy products on the market. If you thought installing your Ipe tiles was easy, keeping the color is even easier. Simply apply one coat of Ipe Oil at least once a year and you will be left with a beautiful deck. To learn more about this product check out ipedepot.com. How Durable is Ipe Wood, Really? When you’re buying a new car, do you look for quantity or quality? Do you want a reliable car that will last longer than 100,000 miles or are you interested in the newest, hottest model? I’m willing to bet that you want both. Instead of having to settle for one or the other, why not choose something that looks great, but is still the most sustainable product money can buy? IpeDepot.com uses truly sustainable Ipe wood products. We guarantee our Ipe product will last you longer than 75 years of wear and tear. 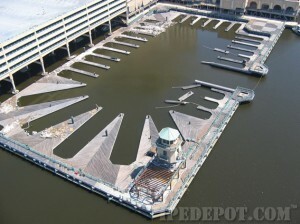 Just look at the Walt Disney Boardwalk resort, for example. After 17 years of being visited by thousands of people every day and getting hit with the ferocious Florida climate, this massive Ipe boardwalk is still able to hold its structural integrity. Lasting longer than 75 years isn’t easy. Water and other liquids are considered krypnonite to most wood, but not Ipe. The dense wood has such tight grain that water is not able to seep into any cracks, which enables it to last much longer than your average wood. 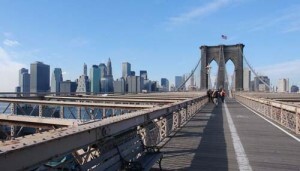 No wonder New York City has used Ipe on over 12 miles of their coastal walkways. Remember to not skimp on fasteners as weak fasteners may corrode, which can weaken the wood around it. 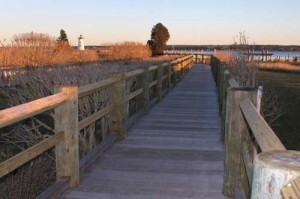 Not only does Ipe hold its structures for years, it is also the safest for the environment. This monster of a tree can reach heights up to 200 ft. and can be found in abundance in the Amazon region of Brazil. By only logging a couple trees per acre, we are able to minimize our carbon footprint and ensure a regeneration of the forest. We also don’t add any harmful chemicals to our Ipe, making it safe to use virtually anywhere. 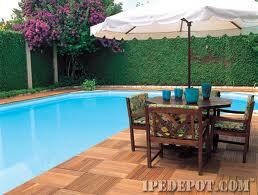 Ipe decking is a safe, environmental friendly, sustainable product. 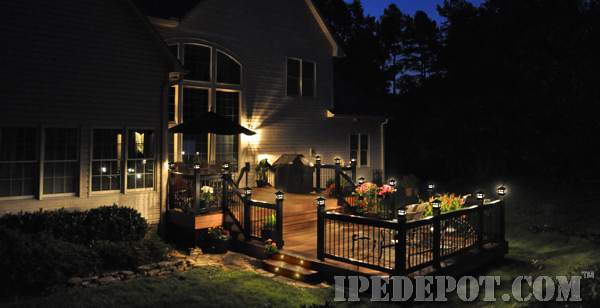 It’s no wonder that so many people trust Ipe with their decking and outdoor projects. Get your free Ipe decking quote directly from the mill. Contact IpeDepot.com today. Happy Decking! Haven’t you heard? The new and tan look is out and weathered and gray are in. And we’re not talking about the fashion world. 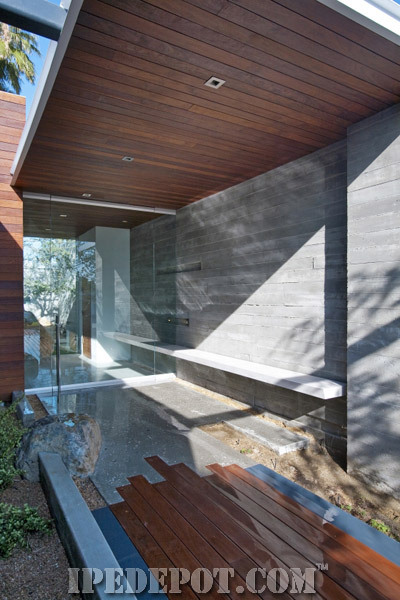 This summer, weathered looking decks have emerged as the latest and greatest trend. Don’t worry if you just bought a brand new deck, we can help you take it from looking sleek and refined in no time at all. Weathered decks are like the silver foxes of the decking community. They look good styled next to any new or old home. You can dress them up with any deck furniture and you’re ready for cocktail hour. Turning an ugly deckling into a silver fox. Giving your deck a full makeover isn’t as hard as you think. All you need are a couple of beauty products, stain or sealers to be exact, and time. There are many products on the market that help with aiding a weathered deck. This product doesn’t add any color to your existing deck and grain patterns can be seen through the finish. The sealer’s lack of UV protection helps the UV radiation fade your wood, giving you a nice, natural gray look. Clear water repellants can last from 6 months to 2 years, depending on surface texture and exposure to the sun. Using bleaching or weathered stained oil helps keep your deck protected longer than clear water repellant. Weathered stained oils are basically clear water repellant finisher with some gray pigments. This type of stain only lasts 2-3 years so be sure to continue applying clear water repellant over the bleaching oil for longer effect. Solid colored stains use an opaque finish. You’re not able to see the wood grain or natural color but surface texture is still intact. We advise re-staining your deck every 2-3 years after using this opaque finish. We recommend oil based semi-transparent penetrating stains because they filter into the wood surface deeper than most wood-based products. Peeling or blistering is less likely to happen with this stain because of it’s non-film forming. Decks with this type of stain gradually wear off and last up to 5 years. Check out www.ipedepot.com to get a free quote. Happy decking! The neighborhood party is just beginning, but night is slowly approaching. You’ve lit the candles and tiki torches, yet still can’t see your neighbor sitting five feet away from you. If only there was a better way to see and enjoy your deck at night. LED lights help illuminate any deck, adding warmth to each backyard setting. Energy saving LED lighting helps you and your guests celebrate into the night without having to worry about your energy bill. Most LED lighting are all-weather compatible so you can keep using your deck even in harsh climates. Lighting is also a care free maintenance because you won’t have to worry about the batteries since they are energy saving. You can also choose to light up your stairs and railings, creating a safer deck for you and your family. You can put the lighting practically anywhere. Get creative and have some fun with it. It’s your deck anyway. 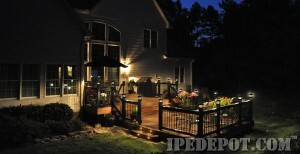 For more information about our lighting options, check out www.ipedepot.com. Happy Decking! Ipe rainscreen siding is an excellent addition to any home. It does keep away mold and mildew that could wreak havoc on your home while creating a healthier environment, both inside and outside the building. By separating the home from the siding, it allows moisture to escape through the space in the wall cavity. The siding sits on furring strips or battens that help create an air space. Mesh based products are stapled to sheathing to create the vent space. The end product will allow the drainage planes to vent to the outside, locking out any moisture or any other foreign objects. Moisture will have a hard time causing problems thanks to Ipe wood, especially since it is an extremely dense hardwood. This adds even more protection to your home against the cunning mold and mildew duo. For more information on Ipe rainscreen siding check out www.ipedepot.com for a free quote. Happy Siding! What Kind of Roof Can You Add Over Your Deck? Before we go into options, it’s important to note that your local city or town probably has rules regarding home additions. Please consult with your local building department before buying a single board. The Flat roof route is the most affordable of these three decking roof options. Many of our customers choose this option for their deck roof because you can connect it to an existing roof from your home. Built from tar and gravel based material, this type of deck sits horizontal and keeps water from leaking through the wood. The one negative about flat roofs is that they may pose a threat for leakage during heavy rains or heavy snow fall. A green roof is the most unique option for a decking roof. You can find many green roofs in cities like Boston, New York City, and San Francisco. A green roof is exactly what it sounds like. It’s a living habitat filled with vegetation and flora. There’s no real maintenance as it survives off sunlight and rainwater. However, they are a bit more complex than your average deck roof. If you are interested, you should hire someone to help you who has experience. The gable roof is the most common approach, using a triangular shaped design. The triangle design allows water to flow evenly off the edge. Some gable roofs include a gutter system to help with heavy downpours. These designs are the most popular because they blend in with the homes existing roof. While it’s not necessary for an Ipe deck owner to have a roof to any part of their deck, many people do add some sort of roof structure for various reasons. When you consider how great Ipe is around marine areas since it’s super dense and allows little to no moisture to seep into it, adding a roof to your deck would be an advantage to your home and your outdoor like. I don’t know about you, but I like sitting outside when it’s raining and listening to the sound of the rain without getting wet. It’s very soothing. 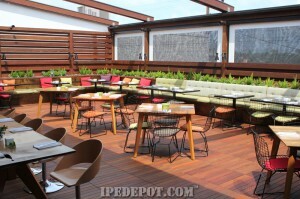 For more information about our Ipe decking, check out www.ipedepot.com. Happy Decking and Roofing! Is 1×6 +Plus® Ipe Decking Really That Strong? We all know Ipe 5/4×6 deck boards are strong and reliable. We know you can build one of the strongest decks, porches, swing sets, or even park benches with this material. But, have you ever wondered if you could use a thinner piece of wood to build the exact same thing? You’re probably saying to yourself “A thinner piece of wood? That can’t possibly stand up to the thick indestructible Ipe 5/4×6 board!” Oh, but my friends, it can! 1×6 +Plus® is custom milled to produce stronger, more affordable decks. Because it’s milled with 2 extra millimeters (approx. 7/8″ thick), cupping, warping and twisting are less likely to happen. 1×6+Plus® Ipe can hold up to anything a 5/4×6 Ipe board can because it is made with the strongest building material on the market, Ipe decking. Contractors actually prefer 1×6 +Plus®, not only because it’s as stable as 5/4×6 but because it’s cheaper. For example, a 5/4×6 Ipe on our site costs you $4.39 while an 1×6+ Ipe costs you only $3.98. Now $0.41 might not sound like that much but when you think about how much you’re buying it adds up to a 10-15% savings when compared to 5/4×6. This decking material is great for DIYers on a fixed budget. We supply Ipe and Cumaru in 1×6+Plus® so call or click to get a free quote from us today: www.ipedepot.com. Wondering what the best type of hardwood is for your indoor / outdoor floor, or deck? First you should consider where the product is going. If it’s going into a kids playroom or room that is often used you’ll want hardwood that is in actually hard. 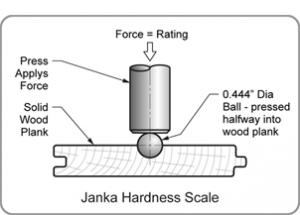 To calculate the hardness of a piece of a hardwood, the Janka hardness test is used. This industry standard test’s purpose is to measure the resistance of wood to denting and extensive wear. 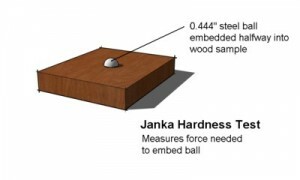 It works by measuring the force required to embed a .444 inch steel ball into the wood to half the ball’s diameter. How much force the ball needs to be embedded into your hardwood will show you if your hardwood is easily dented. The hardness of the wood also varies on the direction of the wood grain. Testing on the surface of a plank perpendicular to the grain is known as side hardness. Testing on the cut surface of a stump is known as end hardness. The most common reason for testing is to determine whether the species of hardwood you have is a suitable use of flooring for your home. 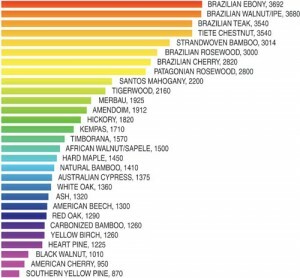 Above is the list showing the hardness of various hardwoods. If you’re redoing your hardwood floors or renovating a deck remember to plan accordingly. If you have small children that enjoy dropping anything and everything they get their hands on then you’re going to want a harder type of flooring. The softer the wood, the more it will wear down while the harder the wood the longer it takes to wear down. As you might expect, Ipe is exceptionally strong. It outranks Teak, Oak, and many other hardwoods. It’s also 8 times harder than Redwood, a fact that surprises many except those who own a deck or floor made of Ipe. Get your free Ipe decking quote directly from the mill. Contact IpeDepot.com today. IpeDepot on Can I Use Tongue and Groove Boards for Decking? jake on Can I Use Tongue and Groove Boards for Decking? Kare on Building Around Water? Use Ipe! © Copyright IpeDepot.com, all rights reserved.